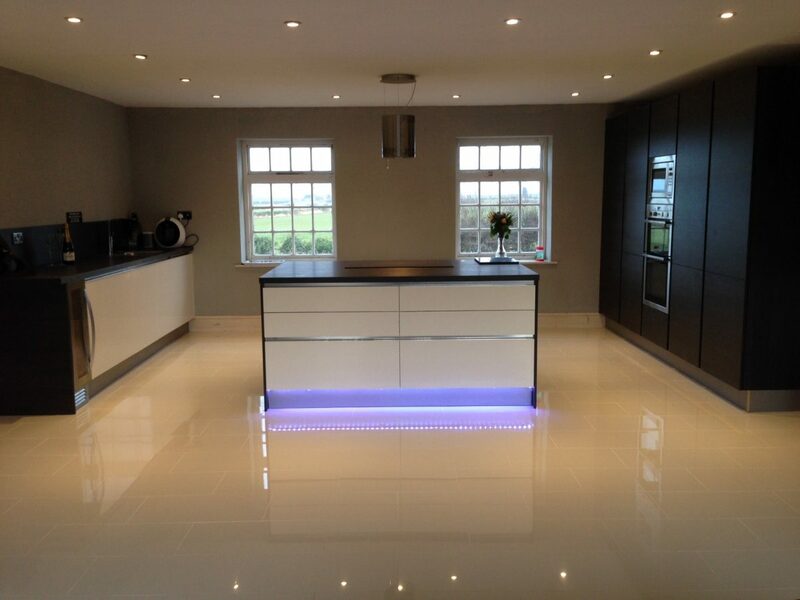 Mr Shaw wanted a kitchen that would wow his friends and family, he wanted something that would stand out! 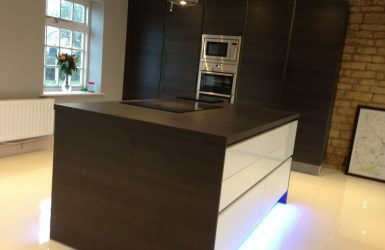 We worked closely with him through several design changes to create a kitchen that is truly unique. 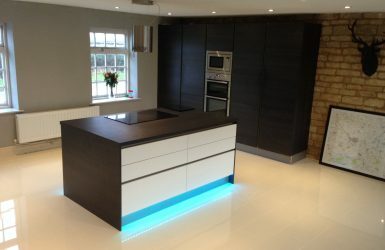 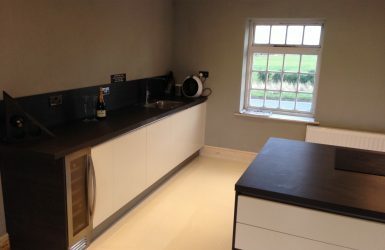 Integrating his colour lighting strip into the design and combining it with a minimalist layout and wood effect worktop we were able to create a visually impressive, yet not brash, modern kitchen.